Sometimes when someone special has gone away on a long journey, you start to miss them. Wherever they go, you start wondering what sort of trials and challenges they will face. And then you couldn’t get rid of the fact that you couldn’t help them through those trials because you aren’t there with them. Wouldn’t it be great to be with them all the time? 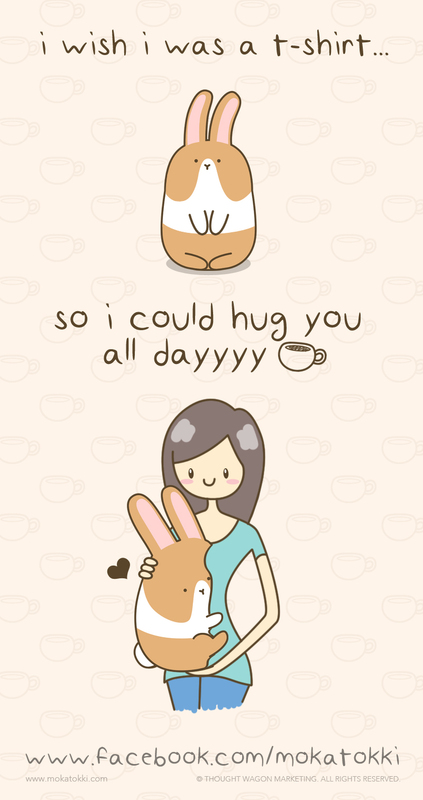 Sometimes when you go to the cafe, coffee is not enough. Because sometimes you are hungry as well. Or maybe craving for something sweet to eat. 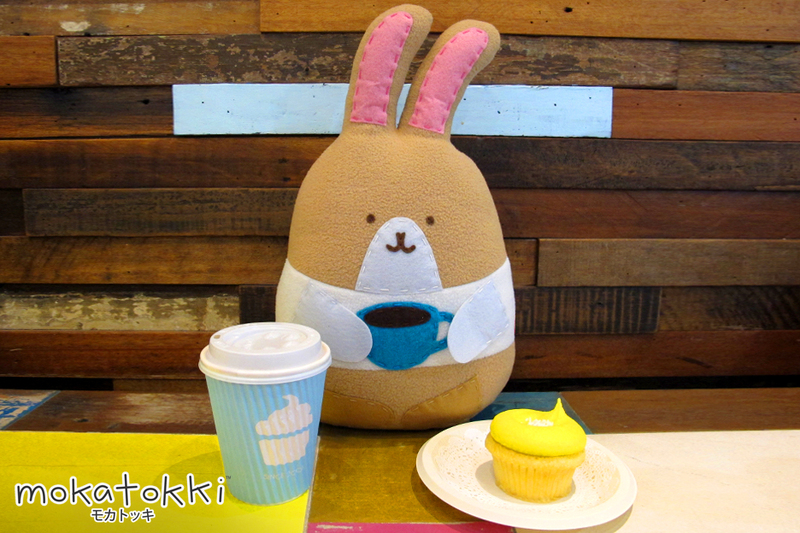 Well, coffee is the best drink to pair sweets and pastries with – that’s what Mokatokki thinks. Whenever Mokatokki thinks his usual dose of coffee is not enough, he orders a cupcake to go with it. He thinks the sweetness of the cupcake is perfect to match the flavor of the coffee! 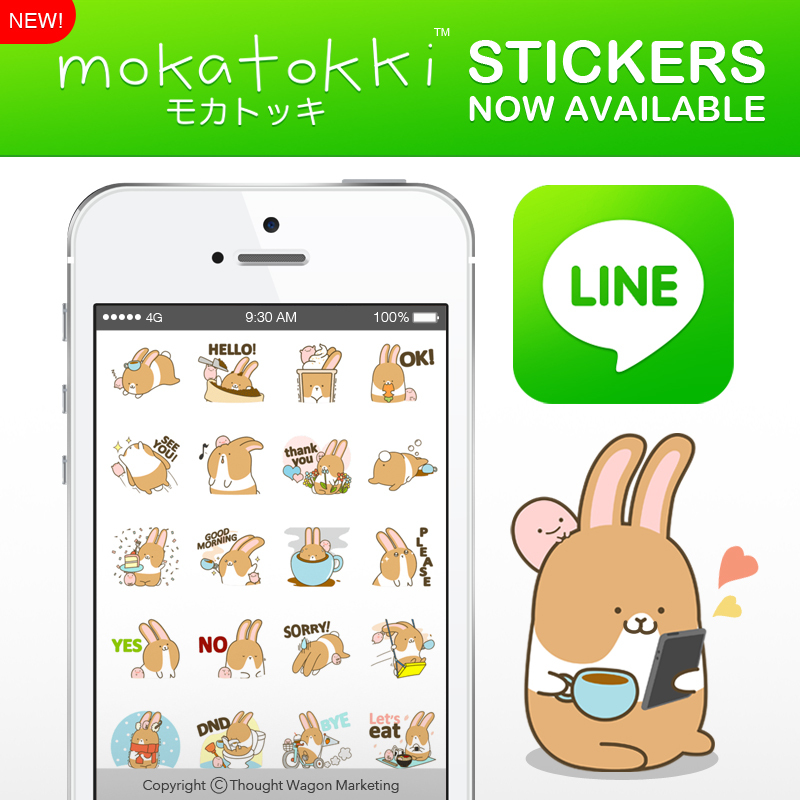 Mokatokki uses LINE to stay in touch with his friends. He is very happy now that Mokatokki Stickers are available on LINE’s Creator Sticker Shop in Japan, Taiwan, Indonesia and Thailand! 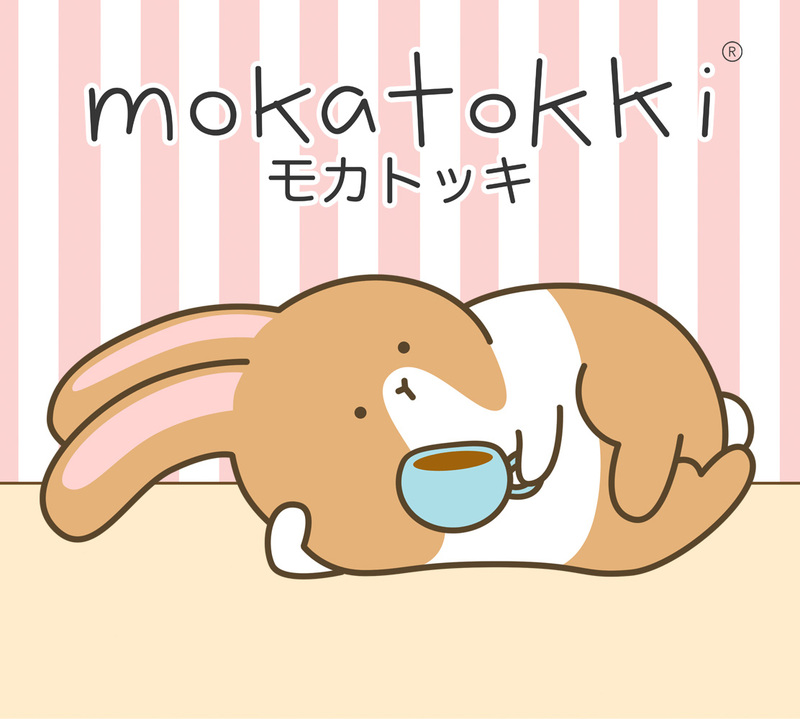 We hope everybody can support Mokatokki and download his stickers!